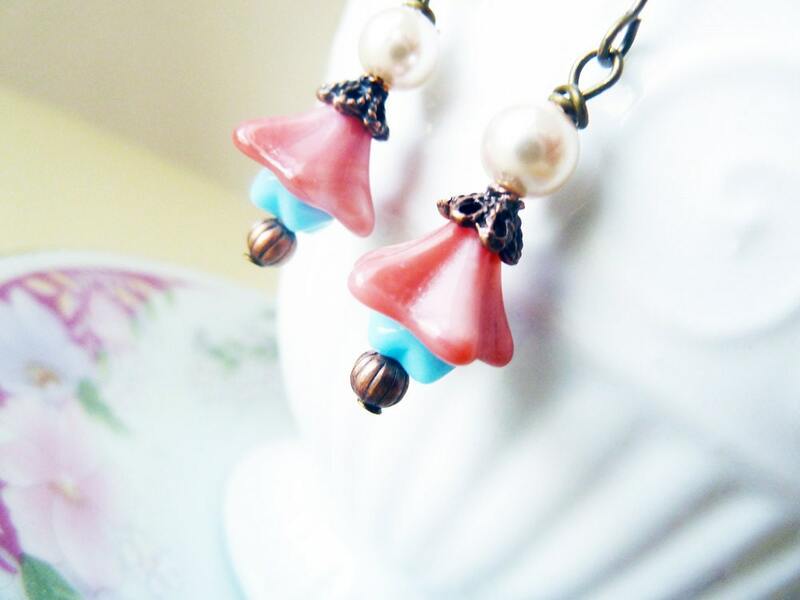 These pretty petite bell flower dangle earrings will add just the sweetest touch to your lobes on your jeans and t-shirt days! 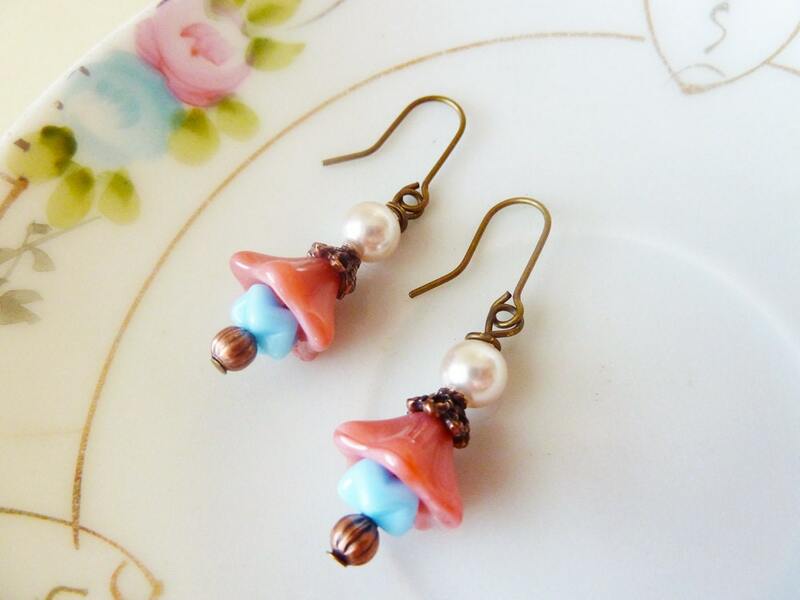 I made them with pretty dusty pink czech glass bell flower beads, baby blue czech glass ruffle beads, coppery accents, and topped them with glass pearls. 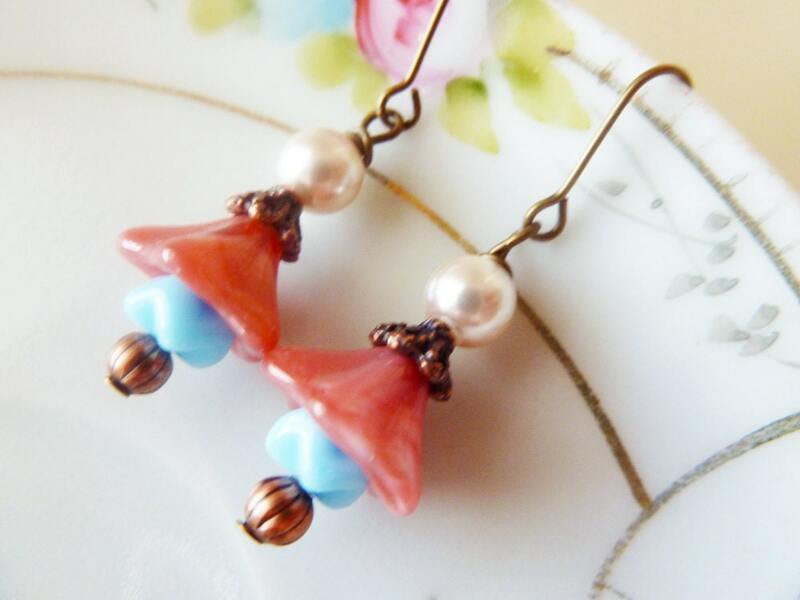 These dangle about 1 5/8" (4cm) from the top of the ear wire to the bottom of the pretty little coppery accent bead.